Hello, I did a quick search and did not see any discussions about Ketogenic Diets. I have altered my settings to help slightly reflect the basic keto principles, but am missing the higher fat concentration in these meals. So I guess my question is, will Mealime consider adding a keto based meal plan in the future? All my best, love the app. 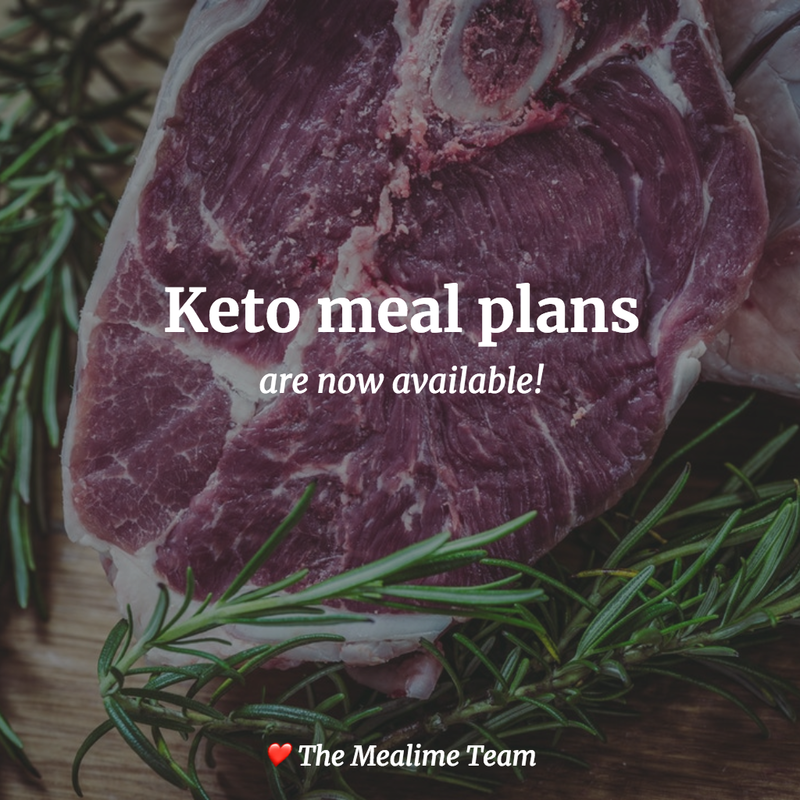 will Mealime consider adding a keto based meal plan in the future? In the meantime, I’d suggest that you select the Low Carb diet type. When searching for recipes in the meal plan builder, I’d suggest that you try to avoid dishes with higher carb vegetables (like potatoes, squash, and sweet potatoes). You could even add these foods as dislikes in Eating Preferences (in Settings) to make it easier for you. I too would like to see a keto meal option. Agree, looking for Keto recipes. Please consider adding soon. Adding a me, too. Reducing seizures with the Keto diet. We’re definitely considering it We have to verify a few things first, but I expect that keto will be available in the near future. Thanks so much for your patience! The keto diet type is now available! Please download the latest version of the app from the App Store / Google Play. Thanks for your patience with this!